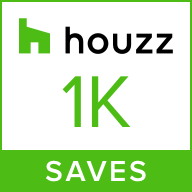 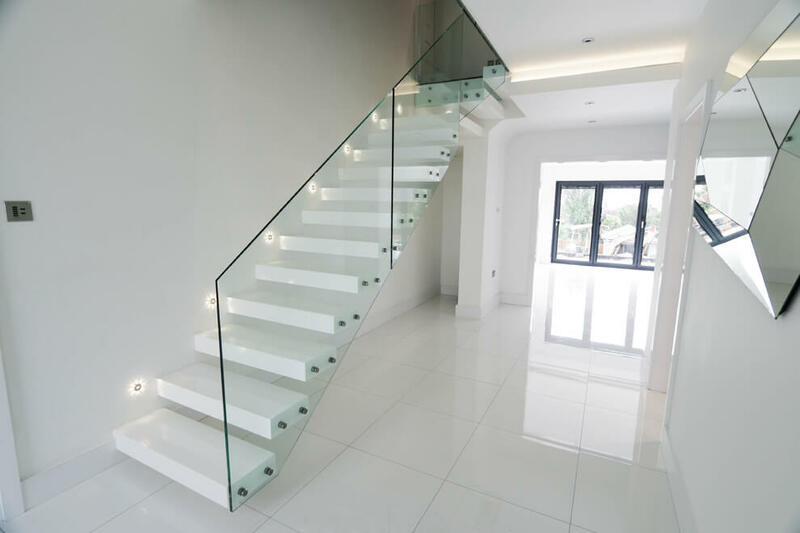 This project required that we take a strictly modern approach, and so we delivered. 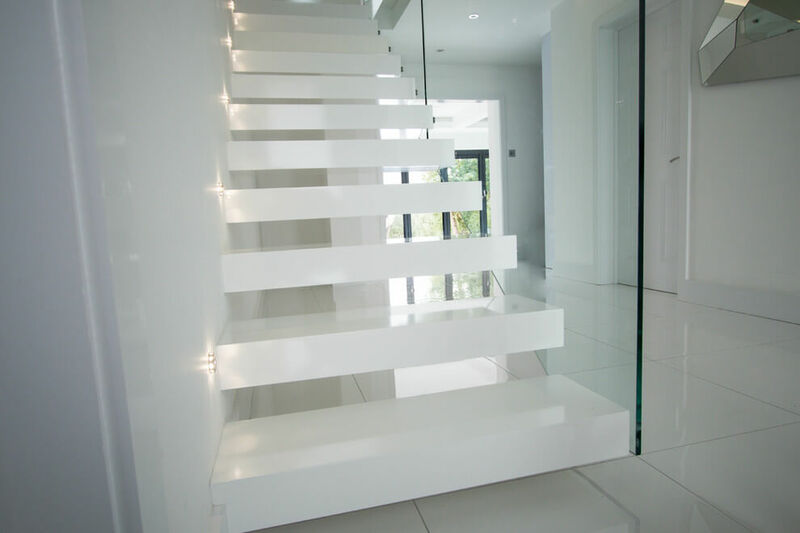 This was a custom-made floating staircase that included steps fitted with a high-gloss, white acrylic material. 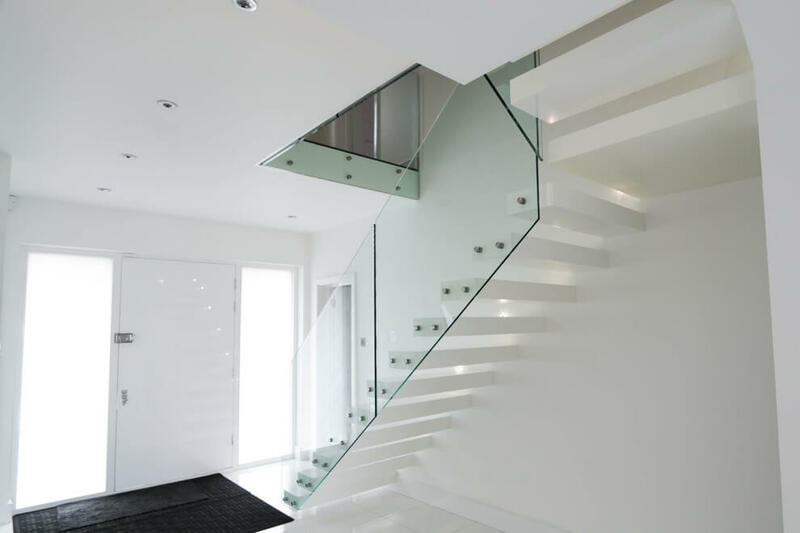 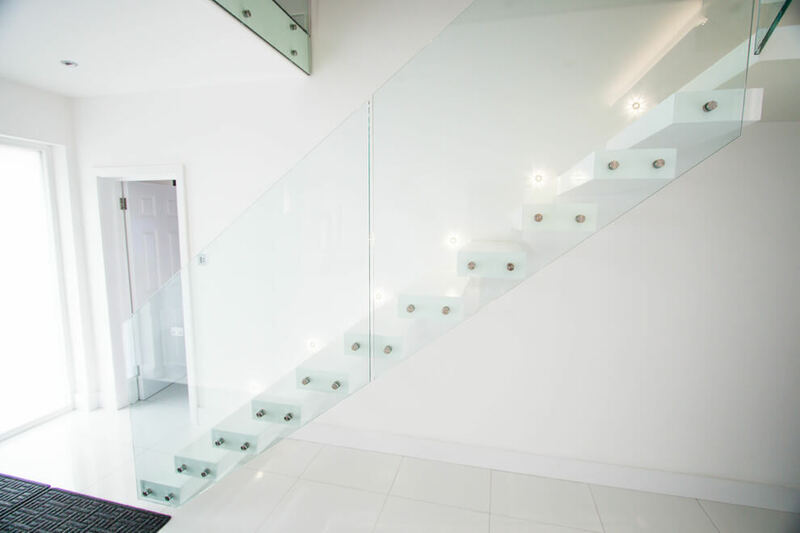 Anchored to the walls and with a glass balustrade attached with bolts, these stairs are much sturdier than they look and can withstand a lot of weight on top of being a striking modern touch. 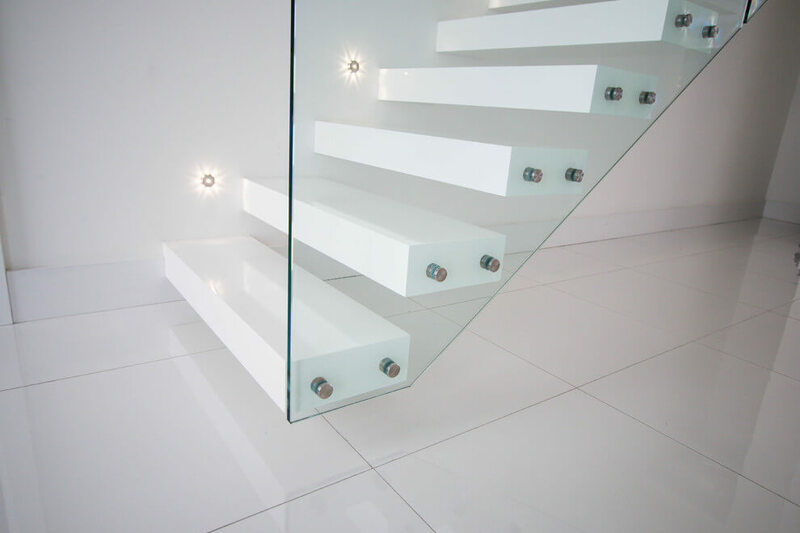 Lights have been added to the wall with the express purpose of adding more subtle light through small spaces.